There is a global lifestyle that is unconventionally booming among young and old people. Living-with-less means so much more to people these days than it did a few huindred years ago. As humans tend to accumulate more and more possessions, the challenge of space, actual spending, and storage is hitting too prominently close to home. People are then shifting from a lifestyle of plenty to a lifestyle of few, with every choice of building and purchase defined by how “less” cluttered it is or it would be. But, having less doesn’t have to be plain and boring when it comes to flooring design. In fact, there are several perfect combinations of Terrazzo Colors to choose from. From light and bright terrazzo tiles, to solid and monochrome terrazzo insitu, there’s an array of hues to choose from, leaving a vibrant minimalist finish. The most common hue dominant in minimalist settings is white and grey. These colors for flooring allow significant furniture pieces to stand out once laid across the space. The white and grey colors also show a neatly finished surface, making it easier for cleaning and maintenance as well due to the visibility of dust or any form of dirt on the floor. With little presence of other hues aside from white and grey, some minimalists turn to a dominant second color for the flooring. The green hues of Terrazzo which appear emerald-like can bring a stunning nature finish to the floor. The idea is to keep the colors as light and close to a washed out or white feel so as not to defeat the main theme of minimalism and open spaces. A darker shade can look like shadows or can make huge spaces appear smaller. Depending on the design objectives, a solid light shade can add a nice mix to the white and grey Terrazzo Tiles or Terrazzo In-situ. Contrary to the second recommendation, a dark color such as black or deep blue colors can also be a strong choice for a minimalist set-up. Ideal to partner with “hard” elements such as concrete and metal, dark Terrazzo tiles or in-situ can bring out a good toned-down contrast to the usual whites and greys of the minimalist lifestyle. Either wait, depending on the design objective, strong and darker colors for terrazzo flooring can provide distinct segments and divisions for the space. Whichever the choice may be, Terrazzo tiles can perfectly complement the minimalist and contemporary styles of buildings today. You may consult top Terrazzo Companies in Australia to get professional guidance on the correct color picks for your minimalist style. Rental properties and real estate continue to be a go-to investment for many Australians. As cities continue to develop, real estate and rental properties increase in value the closer you get to the city center. The question for those who’ve already invested in properties is how they’d attract the right buyers to agree to the price they intend to sell the property for. Here are some valuable and essential actions the owner or lessor can take to improve the general state of the property. Tidy up and call pest control. First thing, if not the most important first step, is to clean up the property. Every bit of dust and any possible sign of house pests will surely turn off any buyer. Doing the foundation work even before you upgrade your design is the most logical and important step to ensure your property’s quality. Add architectural details. Changing the design to reflect more recent trends, depending on the “theme” of the community and the property you intend to sell, can improve the general value of the house. Adding a window to a dark kitchen can help give a new vibe to the place, or adding pathway steps and landscape leading to the front door will surely make the place appealing to potential buyers. Change the flooring. This is where terrazzo tiles come in. Upgrading the design of the floor from carpet or hardwood to Terrazzo Tiles definitely upgrades and boosts the high-end feel of the interiors. Matching with the right color combinations for Terrazzo Tiles will give the buyers the flexibility to also add other pieces of furniture to complement the Terrazzo flooring. Make sure the colors match the overall look of the property, without going to the extreme ends of the color spectrum as this will make interior designing a bit too structured. It’s best for property owners to allow the buyers to imagine the space without the displayed furniture, so they can personalize the property to their liking once they buy it. Property owners can consult the best suppliers of Terrazzo Tiles in Sydney to get the right color combinations to match the interiors and even exteriors of the property. There are lots of other upgrades which can be done to improve property value such as reducing noise, especially for tighter communities where properties are almost wall-to-wall, or adding space-saving furniture for smaller properties which give the buyer great value for space. Best would be to consider timing, budget, and priorities in upgrading the property and do the updates step by step. Cafes and restaurants are becoming more sophisticated when it comes to serving customers by giving unique and full-sensory experiences. One of the unique ways maximized by many cafe and restaurant owners is to tap into the visual elements that tickle the imagination. 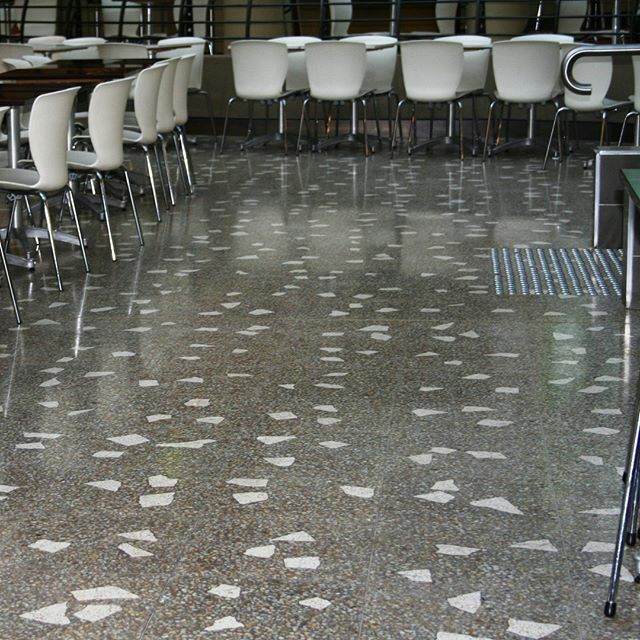 Terrazzo is a fantastic material that could bring out unique themes and tones for cafes and restaurants. 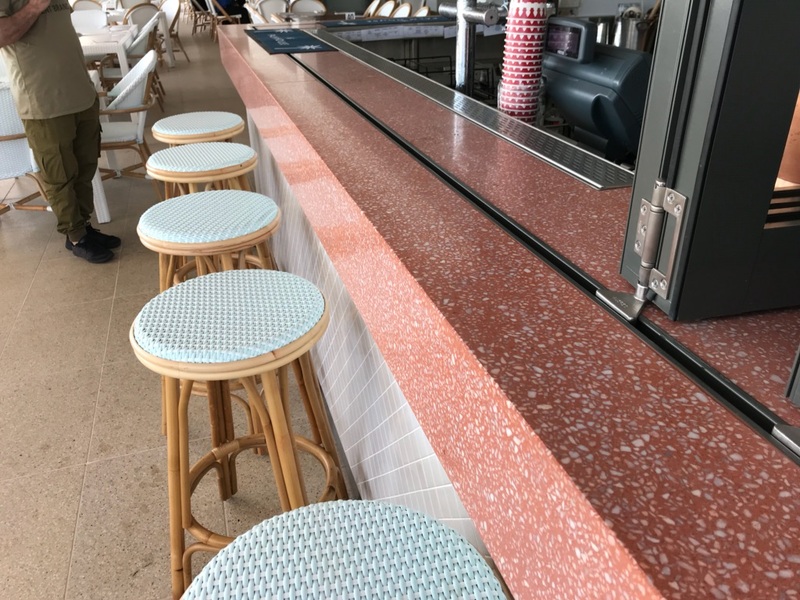 Incorporating terrazzo into the interiors of a cafe or restaurant space adds a smooth, solid finish to either complement similar textures, or provide a start contrast to rough and unpolished elements. 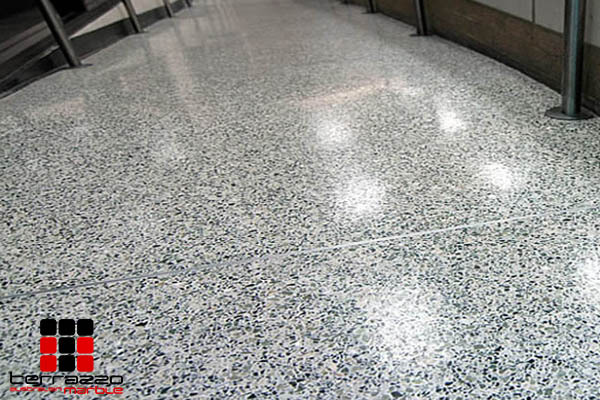 Picking from the Terrazzo Color options is a critical step to ensure that the target theme is achieved. 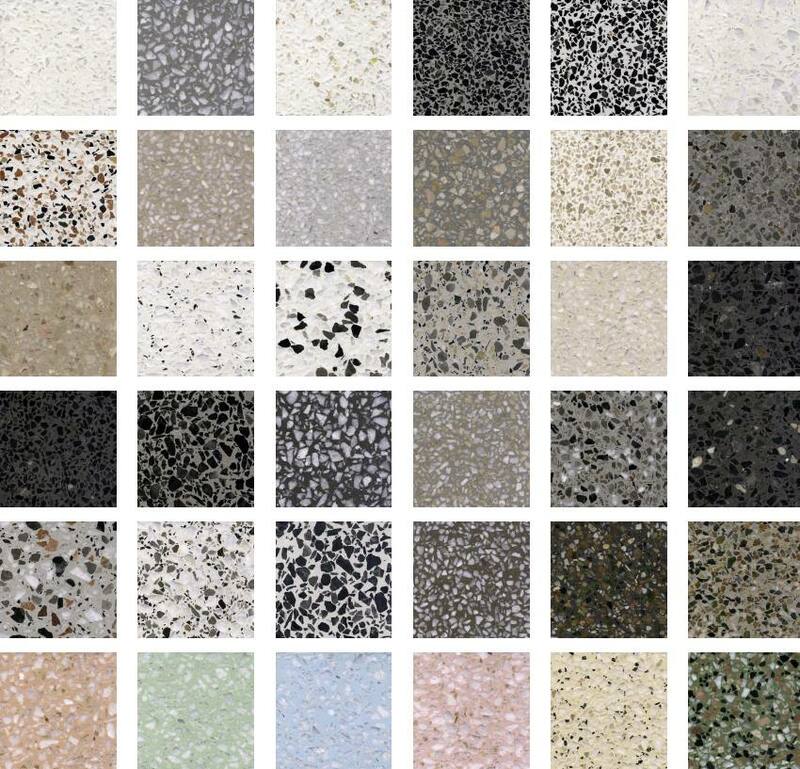 Below are some references for themes and some matching colors which can be achieved by Terrazzo suppliers. An emerging theme for Dessert cafes or pastry shops is the Dreamy Candy Land theme that features pastel and light colors. Common colors to carry out this theme include Pastel Pink and Frosty Blue. These colors have very close semblance to common fondant cakes and whipped cream softness. A deviation from the normal red color which evokes appetite, these colors which may be used for terrazzo tiles can make the ambiance very light and easy for the eyes. Matched with the right light fixtures, Dreamy Candy Land is surely a cafe theme that’ll make people want to stay and enjoy sweet and comfort treats. For coffee shops that emphasize the classic elegance of rich coffee blends and traditional flavors, black or deep red terrazzo colors can be top choices for designers. Usually matched with wood and metal elements, black or red terrazzo brings out an elegant finish that surely emphasizes passion and tradition as main themes of the space. For restaurants and cafes which feature fusion and out-of-the-box choices and flavors, the themes can usually include playful and energetic colors. Tones of yellow and green can perfectly compliment white and other bright colors that emphasize positive vibes across the space. More and more young professionals are looking for a third space in between home and work. Cafes and restaurants that provide space with high clearance and minimalist feels are becoming the standard go-to-space for these professionals, often seeking to declutter during the work day or week. Such spaces maximize tones of gray and whites. Often complemented softer elements such as cushioned furniture, terrazzo finishes this look with a neat, untainted touch. 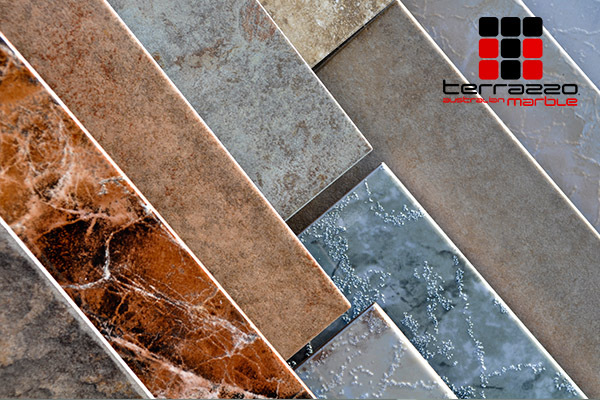 In Sydney, Terrazzo Australian Marble provides a wide range of colors to choose from. Combinations can be highly customized based on the requirement of the design and space. Once you have chosen terrazzo tiles and precast elements for your building project it only means you mean business when it comes to beauty, durability and versatility. Correctly so, you have chosen wisely! 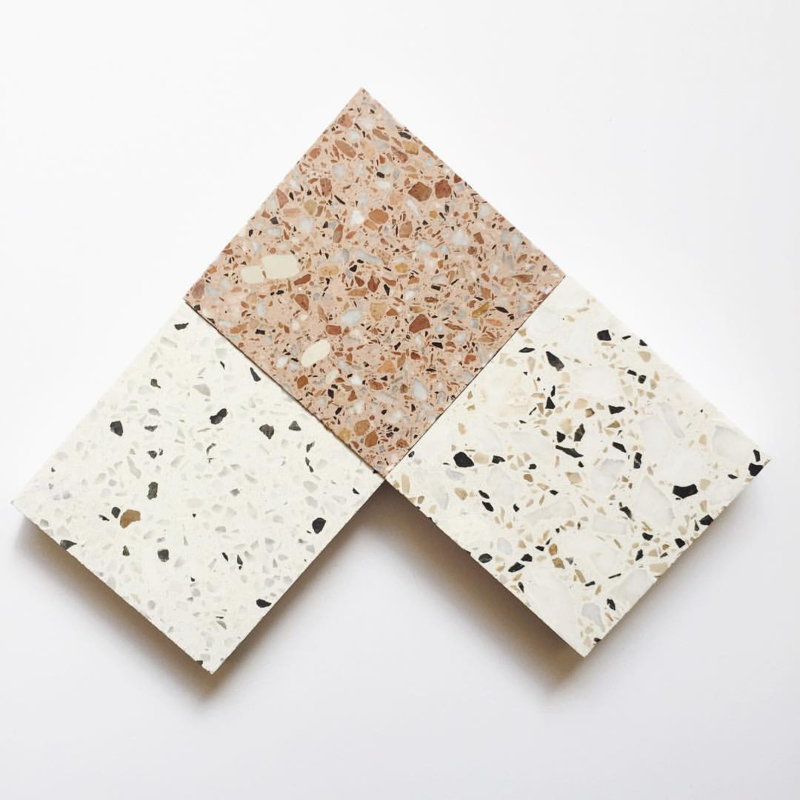 Any terrazzo building material or precast element can contain all or a combination of marble, granite, glass, quartz, sea shells, metal slivers, wood or any other suitable chip sprinkled and mixed with a binder that can either be cementitious, epoxy or polyacrylate finish. The varieties of natural aggregates make it a flexible building material. Since terrazzo affords a wide selection of beautiful finishes for architects and interior designers these special finishes offer them certain benefits that suit each finish and will certainly meet even the most demanding requirements and standards! In the past people would use to say “it’s just a tile, no one will notice it” when it comes to their flooring choices, today this does not hold true anymore most especially with the introduction of terrazzo as an alternative material in the mainstream flooring system of the building and construction business. Beauty and permanence is given preference and priority by establishment owners and homeowners, architects and interior designers that understand terrazzo’s hidden properties.